An event that celebrates Brazilian art and culture! The International Samba Congress is an event where culture and entertainment come together. It was created in 2016 by Aninha Malandro, Rodrigo Marques and Patrick Carvalho, three Samba personalities who had the wish to divulgue the Brazilian cultural heritage in USA. Focused on Brazilian folk dances, specially Samba and its different styles and variations, the ISC was launched in 2017 successfully, with a first edition programming that has also included music classes, competitions and performances. In 2018, the city of Los Angeles hosted the event once more. It gathered more than 30 professional dancers and musicians that came from different parts of USA, from Brazil and many other countries. The event was the stage for lifechanging lessons, a honoree to the singer Dionne Warwick and for several groups who had performed remarkable tributes to the Brazilian traditions. The authentic Brazilian culture at its best! The sucess has replied ISC on special editions in Australia, Canada and Brazil. For 2019, in partnership with the creators of the International Samba Congress Los Angeles, Irineu Nogueira and Cria Da Casa Productions, in association with Samba N’ Motion (USA), is taking the event to the Europe. The main objective is to promote this great celebration for the European public too. Exclusive classes, concerts, competitions, performances and lectures are taking place in Munich, Germany, and are all open for you! If you love Brazilian culture, you just can’t miss this experience! Find out how were the previous editions of the International Samba Congress! The Brazilian music genre that has conquered the world! In early 20th century, the diversity of the Brazilian nation gave birth to one of the main cultural expressions of the country. The Samba was born in Brazil with the African descendents who came to the country due to the slavery. Their African artistic heritage has mixed up with Indigenous and European influences and resulted on a unique and centenary art expression on Brazilian Dance and Music. 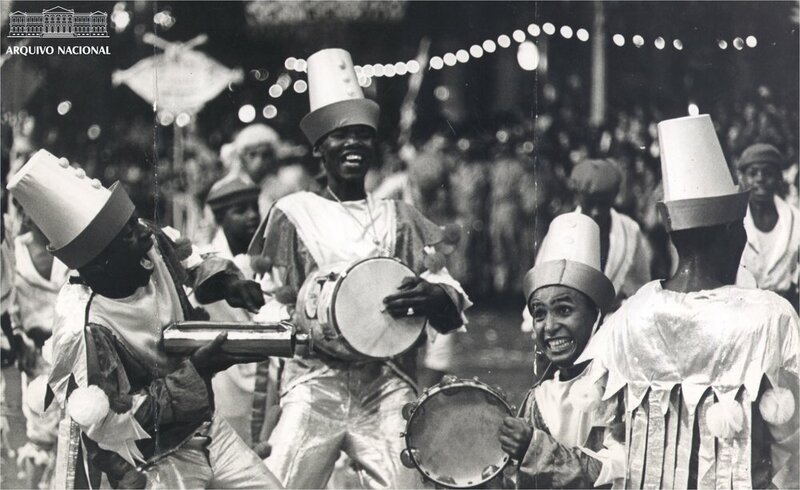 In the beginning, this full-filled energy rhythm was the highlight on Carnival parades and suburbian parties. Very naturally, it took all the country and became a national rhythm. Different variations came up in different parts of Brazil, due to its large territory and to the plural influences of other expressions. Nowadays, Samba is a respectful music genre, played and danced by acclaimed music groups, singers and dancers, who made the Samba be known all around the world. At International Samba Congress, you will learn the history of Samba and how to dance it, besides details, curiosities and variations of movements, cultural contexts and styles. In music classes, you will learn the main music instruments used to play the authentic Brazilian Samba. Ready to challenge yourself? Let’s go! Click on the images to know more about them!